(Bangkok, Thailand) – On a 14-day Grasshopper Adventures cycling tour through Uzbekistan in the heart of Central Asia, guests will experience mountain gorges, desert oases, ancient fortified cities, bustling bazaars, tented caravans, and the Great Steppe, all while absorbing the rich history that has shaped empires for millennia. 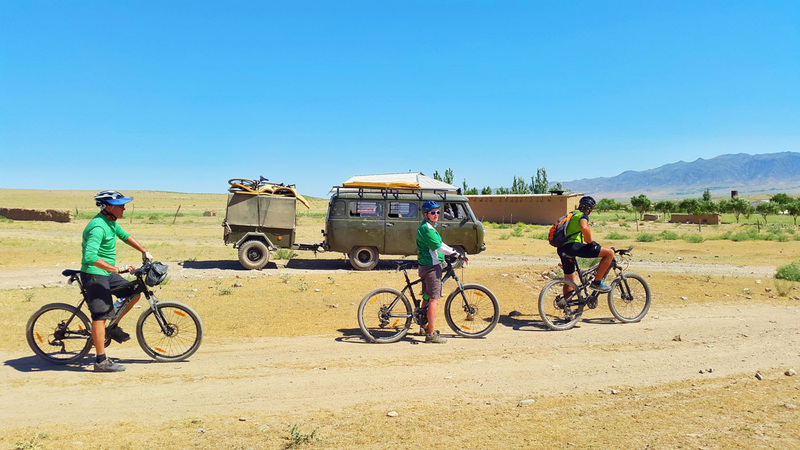 The itinerary, offered exclusively by Grasshopper Adventures, includes exploring the ancient cities of Samarkand, Bukhara, Shakhrisabz, and Khiva; cycling the incredible canyons and peaks of the Nuratau Mountains; overnighting in yurt camps along the old Silk Road, and more. The terrain is mostly a mixture of sealed and unsealed secondary roads through rural villages. When cycling in the remote areas of Steppe and desert guests will be on primary/main roads with very little traffic. There are sections of riding on through mountainous terrain which is moderately technical with short, achievable climbs. During some sections, a 4WD support vehicle will follow the group. The tour covers 505 km and starts at $4,950 USD. For more info, visit https://www.grasshopperadventures.com.